These explosions amount to tapping on a 2x4 with a hammer; yeah you might make some dents in the surface, but the overall structure will remain unchanged. The midwest has had massive snow melt recently, the rivers in Iowa and Nebrasks are overflowing, it's deemed a national emergency. I would go tubing under interstate 80 there and it was probably 40' to the bridge trusses. The water and ice chunks were up at a level high enough to hit the trusses. Science by blowing stuff up! That's what you get, when scientists grew-up watching MythBusters. But seriously: the Antarctic dudes don't appear to be destroying the glacier. Just some supposedly small blasts, while they gather the seismic data. Am less convinced though by some of the seismic sonar some scientists do in the oceans. Don't know it it's more or less harmful than regular sonar, to the marine wildlife. There's not a scientist on Mythbusters. Adam and Jamie are experienced model-makers for special effects. Tory Belleci is a model-builder. Kari Byron is an actress. Grant Imahara is the closest they have to a scientist on screen; he has a Bachelor of Science in Electrical Engineering and is adept at robotics. I'm sure they have some actual scientists on staff behind the scenes, but you never get to see them. It's just an entertainment show, and many of their experiments are quite unscientific. They make many assumptions, I assume for the entertainment value. 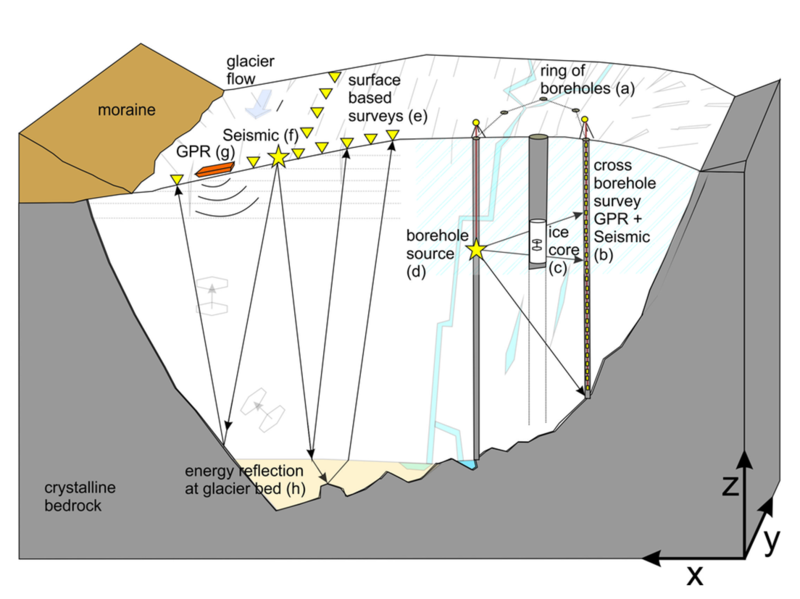 As to the glacier issue, I doubt they are releasing explosives strong enough to cause appreciable ice melt (there will be some even if they use point charges). But when trying to prove ridiculous theories, sometimes one must go to ridiculous lengths. Agreed that MythBusters is just an entertainment show. Was just attempting a little humour, in suggesting that today's scientists, may have grown-up watching MythBusters and Hulk-smash cartoons. Sorry if that wasn't clear, you know: internet forums, and all that. Oh, it was clear; perhaps I wasn't. I'm agreeing with you. What they are doing is introducing an element of control into an inherently variable environment. If you know precisely what variable you are introducing to an area, you can interpret the results better. As opposed to waiting for stuff to happen and then trying to guess why. No, but Mythbusters did attempt to do their experiments in the correct manner. That is, they tried to identify and isolate as many variables as possible in order to control the experiment, and so they were more likely to get a real result. When you change one variable at a time who doing experiments, any differeing outcome likely can be attributed to that variable. Therefore, Mythbusters' methods were often a scientific way to conduct experiments.